I think it’s safe to say that our team here at OE loves food. It helps that our historic rowhome office has a fully loaded kitchen. Being a big foodie myself, I’ve always loved any opportunity to share my culture through food. One of my favorite things to cook (and eat) are dumplings. Dumplings have a rich tradition in the Chinese culture to symbolize wealth and good fortune. This is due to the shape resembling ancient Chinese currency. Making these delicious pillows of joy is no easy task and usually takes a team to work together on the intricate prep work. The idea of teamwork through food has led to the induction of Dumpling Day as an OE tradition we all look forward to in the spring. This is a two-part event. Part one is the making party where I teach everyone how to make and wrap everything from scratch. 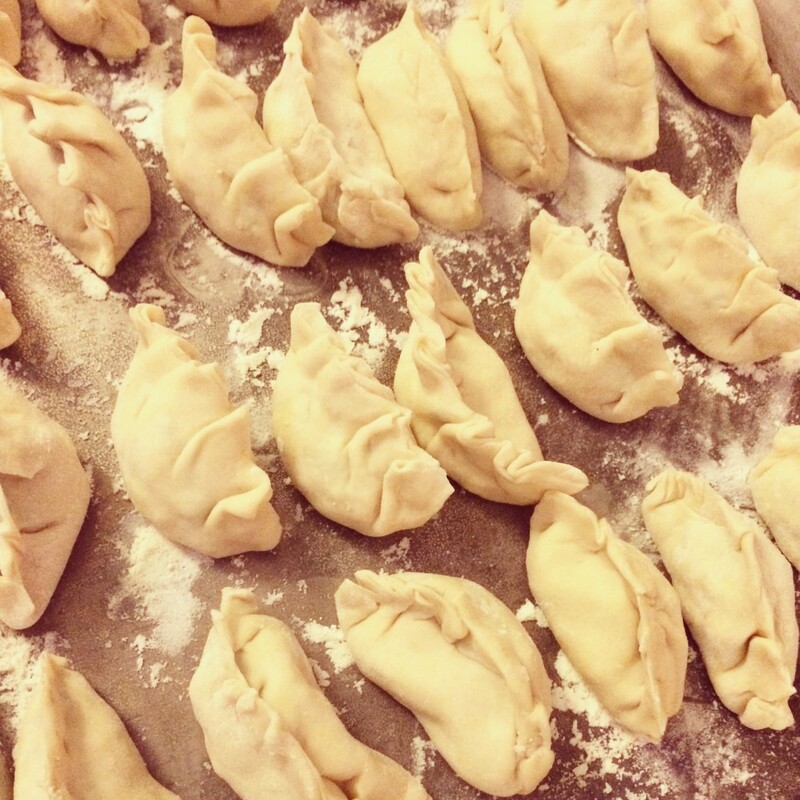 (Although over the years, this event has produced some pro dumpling makers among us.) Part two is cooking them all for lunch the next day at the office and devouring them. This year was Dumpling Day’s fifth anniversary, and it was (as usual) a smashing success. Not only for the food, but for the opportunity it presented to get the whole team together for a shared lunch. Win-win!